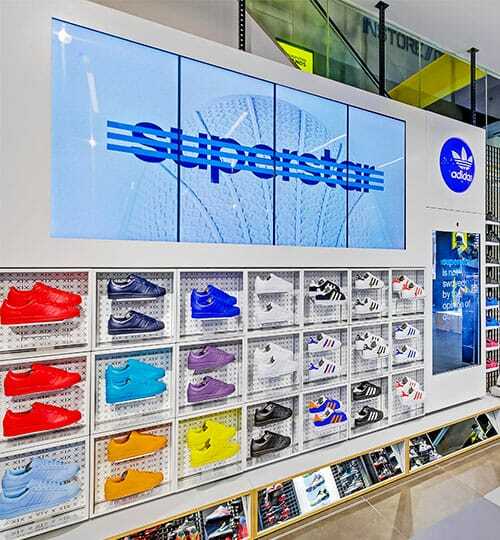 Our solutions for the retail sector will help you drive footfall and increase customer spending. With over 40 years of experience working with clients and agency partners in the retail sector, we understand how to translate retail brand ideas into profit-driving solutions. Brands are increasingly seeking ways to deepen the customer experience at every touch point. With affordable AV technology, retailers now have the opportunity to deliver the brand promise at a faster rate than ever before. If you’re working on a brief and you need some ideas, get in touch. With over 90% of customers searching for brands online and the consumer need for instant gratification, attracting and driving repeat in-store visits is increasingly challenging for the majority of retail brands. MediaZest understands how to solve some of the challenges retailers face today, take advantage of the latest digital technology, and more importantly, identify the right solution for your brand’s long-term success. 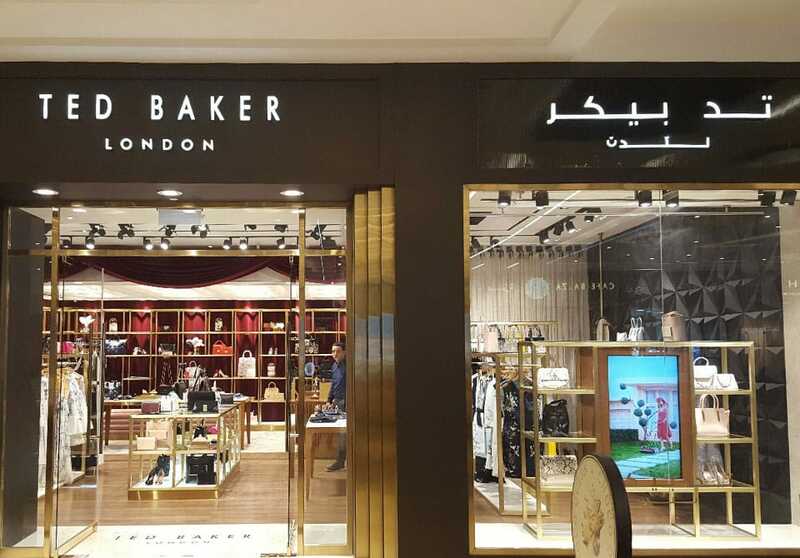 Distribution of customer facing content for Ted Baker, using The Scala content management system. The concept was rolled out across the UK, Europe, USA, China, and UAE. 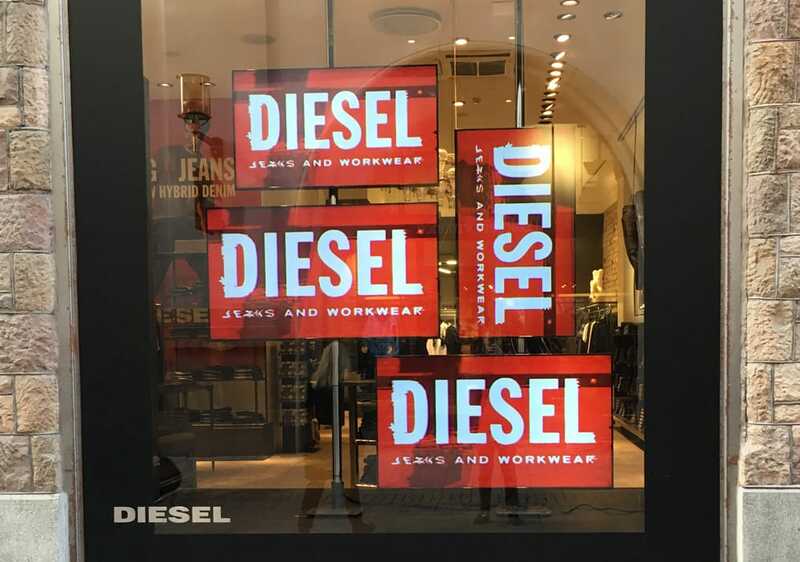 Screens for the Diesel retail store were configured in a mosaic display format, both landscape & portrait. For maximum impact content was synchronised across the screens. Famous for their Belgian chocolate artistry, Godiva chocolatier has provided wonder and delight to chocolate lovers from around the globe for over 90 years. 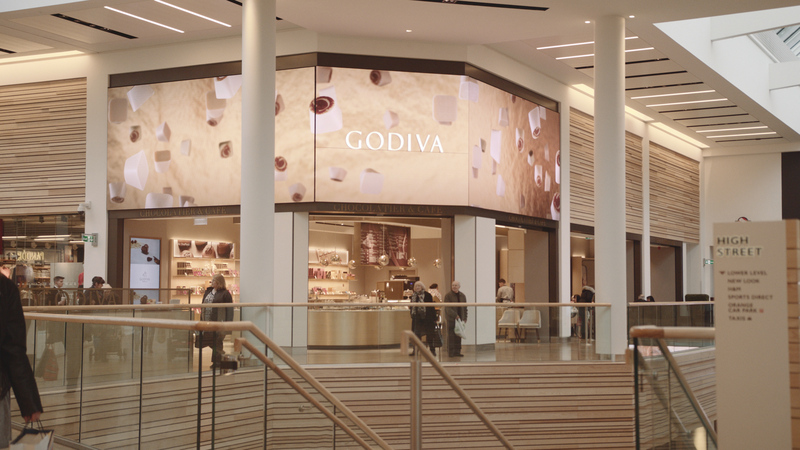 Now at Meadowhall Sheffield, Godiva has launched a 1,700 sq ft experience-led concept store, including a café and a boutique showcasing the brand’s chocolate artistry and products. How can MediaZest help you? 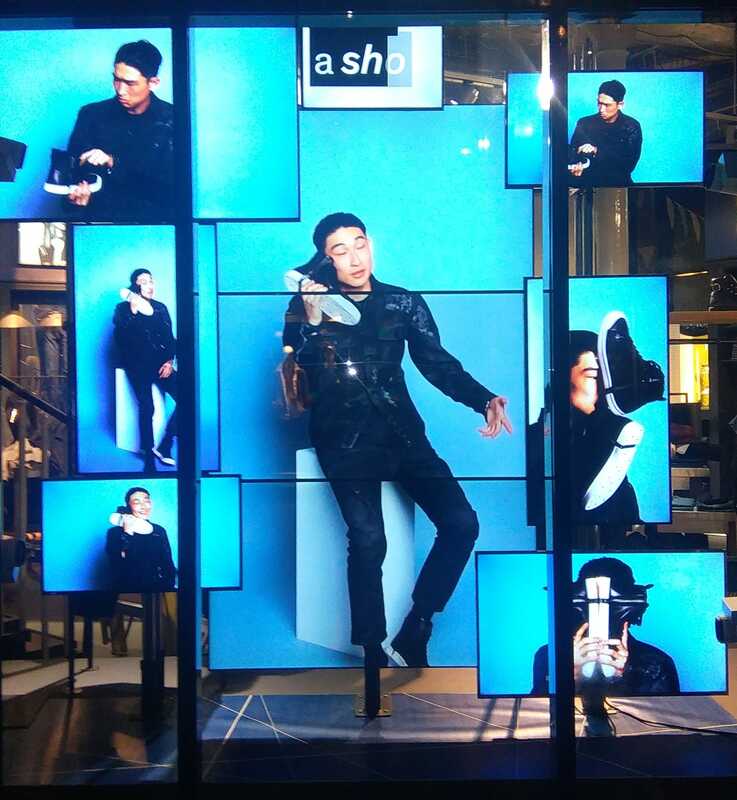 Experiential retail starts in the window–you want to draw attention & turn customers’ heads. Inside, we turn the experience of browsing, trying and buying into something fun and exciting. Based on your brief, we can also integrate social media ideas into our solutions and deliver a seamless experience for your customers to enjoy. With interactive and multi-touch screen technology, we add a new dimension to the shopping experience. For younger millennial consumers, it’s a natural extension of their everyday lives. For mature consumers, it could be an eye-opening moment that stays with them well after they leave your space. Whoever you’re targeting, you can be sure MediaZest has the right solution that’s tailored to your brand.